June 2012 Newsletter – Updated! Welcome to the Child’s Play Learning Center monthly newsletter! Please take a moment to review the notes, announcements and ideas we gathered for your review! 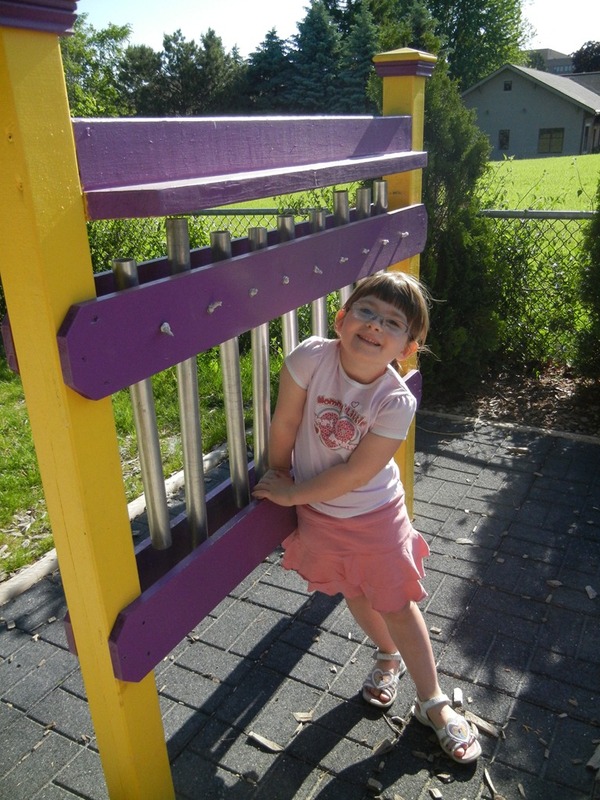 If this blog was shared with you, please consider following it: https://childsplaylearningcenter.wordpress.com. All menus and calendars are available on the main page of the blog that now houses this newsletter! Check them out! The next Infant Opening is April 2013. Please remember to update your child’s health and immunization records. Please call if your child will not be at Child’s Play due to a vacation day or illness. Please email cponsuperior@hotmail.com if any of your contact information has changed, or if you would like to add new contact information or people for this newsletter. Summer Is Here! Check your child’s cubbie to ensure that they have a change of clothes that fits the weather/temperature. 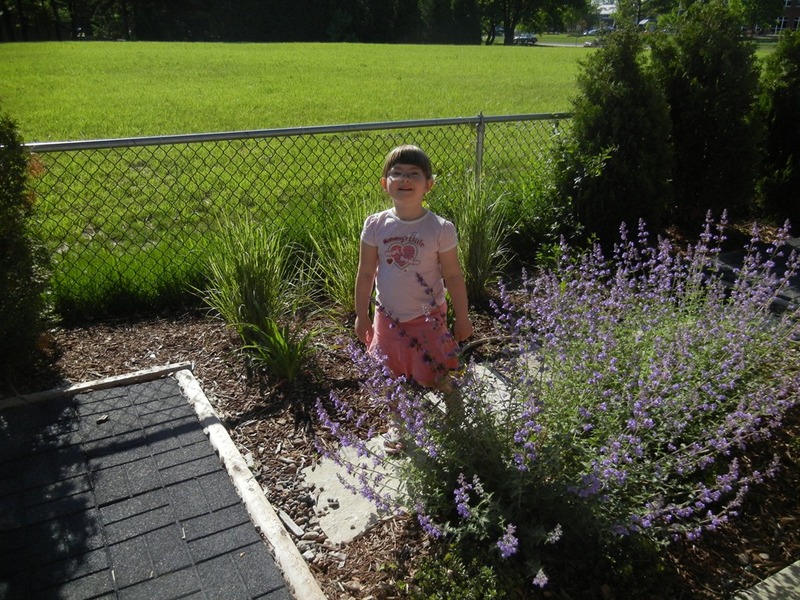 FEATURE – Summertime, Summertime, Sum-Sum-Summertime! We LOVE summer at Child’s Play. Our friends get to play outside, we explore our neighborhood, the sun kisses our skin and everything – we mean EVERYTHING…even our friends – grows! Children’s Garden: This summer, we invite you to visit our new Children’s Garden on the east side of the building. We have slowly built this unique space as we have raised funds through all of the great fundraisers you have helped us with throughout the year. 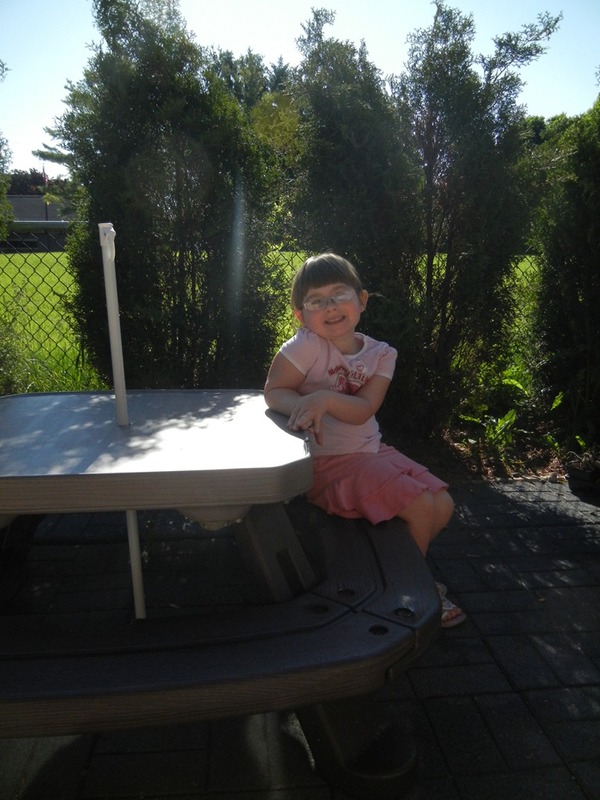 Anna Prange posed in our Children’s Garden vignettes to show you how fun it is! (PHOTOS from left to right: The picnic place, the art fence (children can use paint, chalk and more! 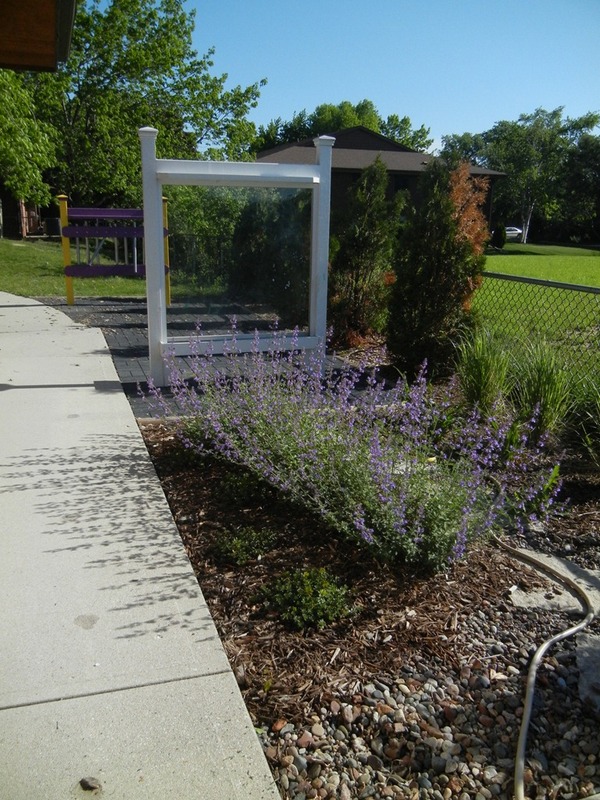 ), the water experience area, the lavender walking path, the musical fence. 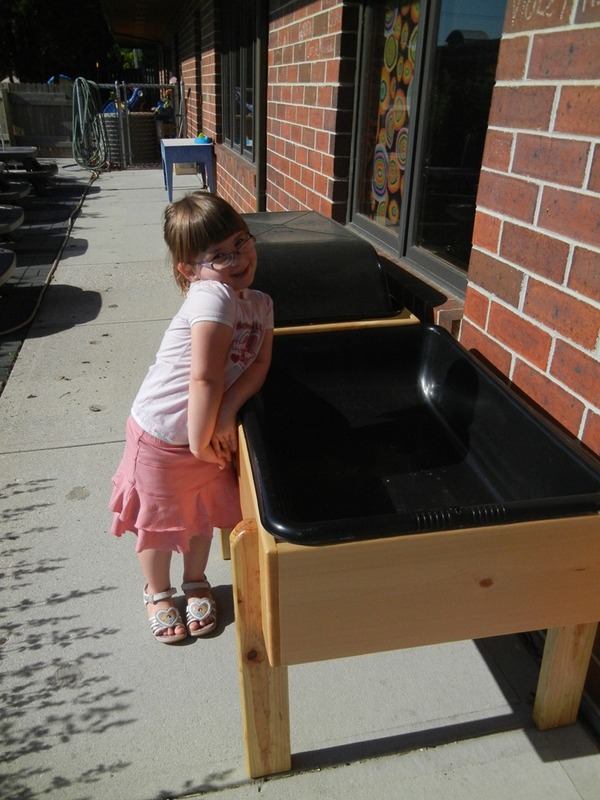 Container Garden: We are also trying to build some container gardens in our back yard to give our friends the experience of growing and harvesting vegetables and other plants. If you have any materials or expertise that you would like to contribute to this effort, please let us know. We hope to give each class their own section to plant, tend, harvest and explore. Swimming Season: Please bring swimsuits and towels as soon as possible and label each item by the tags with your Child’s first and last name. Please bring them in a shopping bag to hang in your child’s cubbie. Sunscreen: Please make sure you have turned in your sunscreen permission slip and payment ($10) for center products or your own sunscreen. The sun will be getting warmer soon – we promise! If you need a duplicate form, please check with the office. Flip-Flops: Children are welcome to wear flip-flops inside of our center, but they must have closed-toe shoes for outside and for field trips. This policy helps reduce accidents. Camping, Picnic & Beach Experiences: This summer, many classrooms will be doing camping, picnic and beach-themed units. If you have anything that you think might enhance the experiences – tents, backpacks, beach tools, surf boards, hiking boots, etc., please talk with your child’s teacher to see if they could use your “stuff”. Our children like to pretend, using real-world tools, and we would love to use your cadre of equipment to make these experiences even more fun! SERVICE PROJECT – Support the Sheboygan County Humane Society Thank you to all of the families that contributed to this fun service project. The children delivered the donations to the Humane Society and were showered with praise and thanks for everything we collected for the needy pets in their care! So Long…Farewell…You’ve Grown Up Too Fast! On behalf of ALL of the teachers at Child’s Play, we would like to thank all of the families who will be leaving our Center-family this summer. Many of you have been with us for many years and we will sincerely miss all of our little friends who are growing up Way Too Fast! Thank you for all of the great memories and fun times. We hope you will come back to visit us often! We would like to gratefully THANK all of our parents for accommodating our sick-child policy this year. We know it can be a terrible inconvenience, but we also want you to know that enforcing this policy has greatly reduced the incidents of illness in our center this year. Thank you for adjusting to our policy and for your willingness to keep all of our children healthy. We recently made some gentle renovations to our Great Room (the big room in the rear of the center). If you aren’t dropping off or picking up from this room, stop in and take a look! Congratulations to Miss Tiffany who recently graduated with a degree in Elementary Education from UW Oshkosh! Congratulations to Miss Mariah and Miss Trisha who recently joined our team. Check out their Staff Spotlight articles below! As early education experts, we know that speech-skills are so important for the development of our children. Even children without obvious speech impairments can significantly benefit from activities that teach strong speaking-skills and development early in life. Like vitamins, speech-development activities enhance a child’s development in ways that set a strong foundation for future education. A company called SpeechTails – http://www.speechtails.com/ – will be working with our staff to create free assessments and recommendations for children to use web-based programs for speech development. We are working on a reduced rate for our families and exploring a way to use this unique process in our center. More information will be available in the coming months, but we are very excited about this opportunity for your family! After a short hiatus, Randall’s Original Frozen Custard – 3827 Superior Avenue – has reopened under new ownership! As one of our closest neighbors, we are excited to tell our families about the tremendous new menu and classic well-known recipes that are available just down the road. All of our children will be taking a walking field trip to Randall’s this summer to learn how to make frozen custard – and they just might get a sample! Each month we feature two of our staff members and tell you more about them. While you know these ladies by their smiles and reports when you exchange charge of your children each day, this is a way to learn more about who they are, where they come from and the fantastic talents, dreams and ideas that make up our team. Favorite thing about Child’s Play: I love the creativity of it! Everyone is always doing things that are educational and fun! Favorite Holiday: 4th of July – because my whole family comes together! 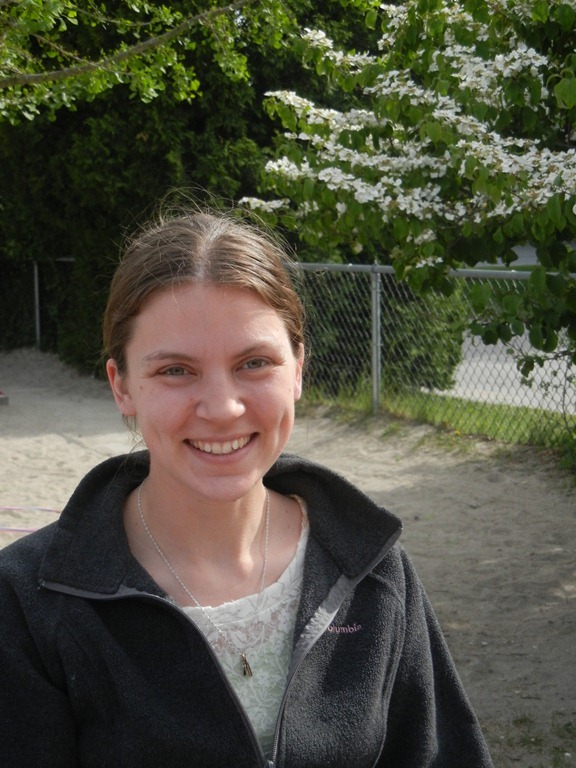 Miss Trisha is one of our newest staff members and will be floating through all of the classrooms. She graduated from South High School in 2011 and is currently attending UW Sheboygan seeking a degree in Speech Pathology. Miss Trisha tutored at the Early Learning Center for 2 years, coached gymnastics for the Sheboygan Recreation Department and the YMCA. She has also worked at Happy Hearts & Handprints. In her spare time, Miss Trisha coaches track, plays softball and does Zumba! She is an expert in Cheerleading and is very proud to be the first person in Sheboygan County to ever make it to the WIAA Cheerleading State Team! GO TRISHA! When she’s not shouting for her team, she can be found singing along to Country music or reading the Hunger Games Trilogy (Mockingjay is her favorite). She may also be found playing the clarinet, flute, saxophone and guitar. If she could, she would love to meet Shawn Johnson because she loves gymnastics and thinks she is a fantastic athlete and person. She may even invite Shawn to join her for her favorite dress-up day – Pajama Day. 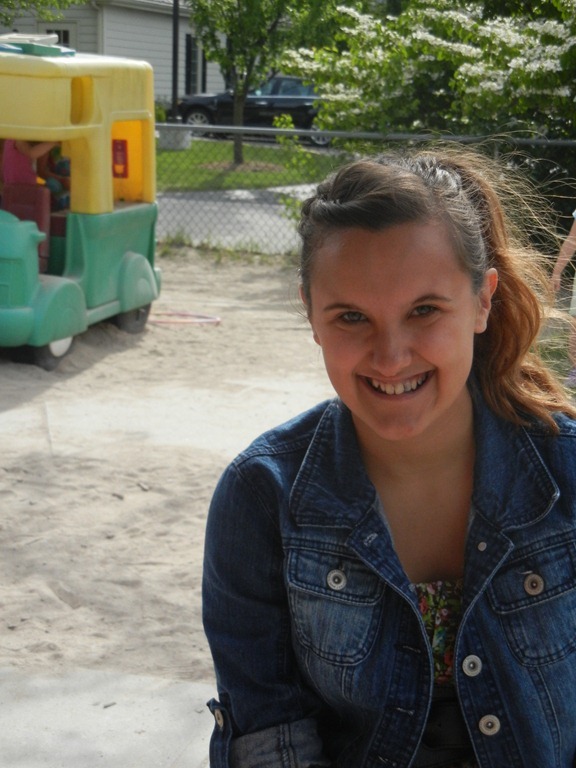 Miss Trisha wants us to know that she is very energetic and she loves to smile, laugh and have fun. Favorite thing about Child’s Play: I love how all the classrooms are broken up by age. My old center was smaller, so we had to have multiple ages in one room! Favorite Holiday: Christmas – because I love how happy my family gets when we are all together. Favorite Animal: Dogs – I love how much they adore you when you walk into a home. Miss Mariah just moved to the Sheboygan area from Iowa with her husband, Rich, two dogs and a cat. They fell in love with the area when they vacationed here last year and decided to move. They are both really excited for the change and glad they could find such great jobs. Miss Mariah just completed her child development credential and she has an Associates Degree in Business, which she is very proud of. She was an Assistant Director of another center for two years and considers herself an expert in making homemade bread. When she isn’t baking or listening to country music, Miss Mariah might be outside, hiking, fishing, camping, taking walks or reading her current read – “Deception” by Dan Brown. If Miss Mariah could meet anyone in the world, living or passed, she would have a chat with her Grandmother who passed away when her mother was in college (before she was born). She had heard so many stories about this remarkable woman and would love to meet her. WELCOME TO CHILD’S PLAY – Miss Mariah & Miss Trisha! Thank you to all of the families that contributed to this fun service project. The children delivered the donations to the Humane Society and were showered with praise and thanks for everything we collected for the needy pets in their care!